Ground Round® Grill & Bar is expanding their location footprint from nine to eleven U.S. States, and opened their newest restaurant in Rutland, Vermont in late May. The Rutland location was a conversion of a former Ponderosa Steakhouse, and the first of five newly signed franchises gearing up to open under the Ground Round brand over the next few years. Following Rutland’s opening will be a newly built prototype building in Huron, South Dakota, with all of Ground Round’s latest design elements and featuring an expanded layout, to include meeting room space, as well. The Huron restaurant will be part of the multi-business, Wheatgrass Development in Huron, and is expected to open later in 2017. “We expect to begin site development and construction for the restaurant soon and we’re excited to bring Ground Round Grill & Bar to the Huron community,” notes Diane London, who will locally own the Ground Round franchise in Huron, and also owns a Perkin’s Restaurant and franchise in Pierre, SD. Another franchise agreement was signed for development in Ohio, which includes a newly built hotel and Ground Round restaurant, and a multi-unit commitment was signed to open up to two locations in Sioux Falls, SD over the next few years. Ground Round Independent Owners Cooperative (IOC) represents a group of independent franchise owners who have owned and led their own brand since 2004. They offer a unique franchise model where a franchisee can own their own restaurant along with an ownership/membership share in the overall future and growth of the brand. 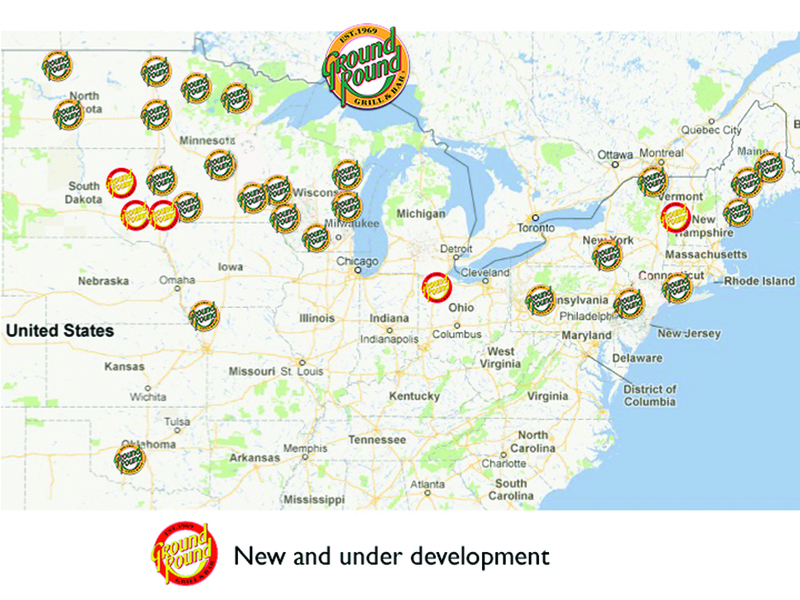 Ground Round IOC operates restaurants spread across the Midwest and Northeast areas of the United States, with headquarters based in Freeport, Maine. 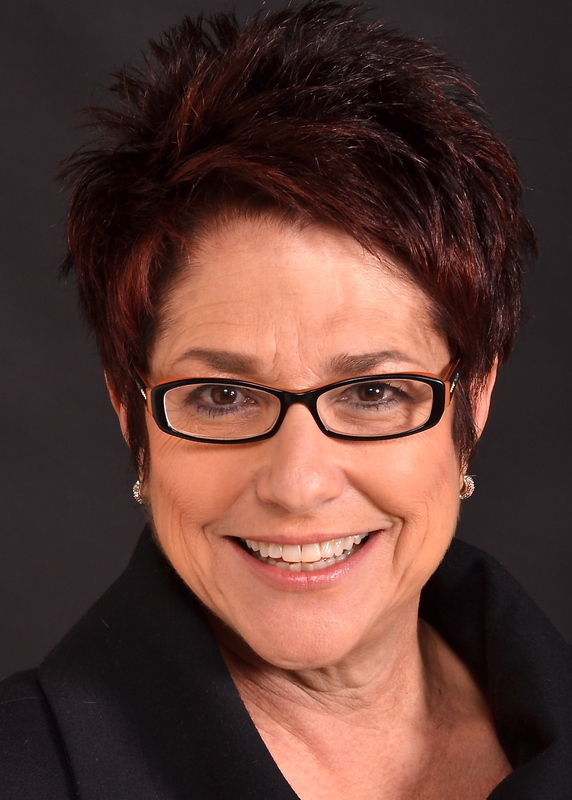 Rita’s Franchise Company appointed Phyllis Savar Levy as Senior Vice President and Chief Marketing Officer. As part of the executive leadership team at Rita’s, Levy will oversee integrated marketing and communication strategy and execution, as well as product development and innovation across the more than 600-unit franchise corporation, continuing to build the beloved brand by enhancing the guest experience. A graduate of the Wharton School, Levy brings more than 30 years of diverse knowledge and experience in the food and consumer packaged goods industries. She spearheaded product launches and other major growth initiatives at some of the nation’s most well respected Fortune 500 companies in the industry, including Kraft Foods, Campbell Soup Company and Aramark. At Campbell, Levy led the team that launched Le Menu® frozen dinners, a $250 million breakthrough business, establishing her position as an expert in new product innovation and launches. During Levy’s tenure at Aramark, her team developed a new cost-effective system for providing fresh food service to mid-size corporate client locations. She also has extensive experience in the health and wellness industry, with notable past employers and clients including GlaxoSmithKline, Johnson & Johnson and Novartis. Levy most recently brought her passion and expertise to consulting, as CMO and Partner at Chief Outsiders, where she delivered cost-effective and efficient marketing services for clients. She created and led the team that developed SOLA®, a new natural alternative sweetener product for both beverages and cooking, suitable for retail, food service and industrial markets. Café d’Avignon, the upscale New York City bakery, is expanding their customer reach throughout the New York metro area with the help of newly enlisted development partner, Fransmart. 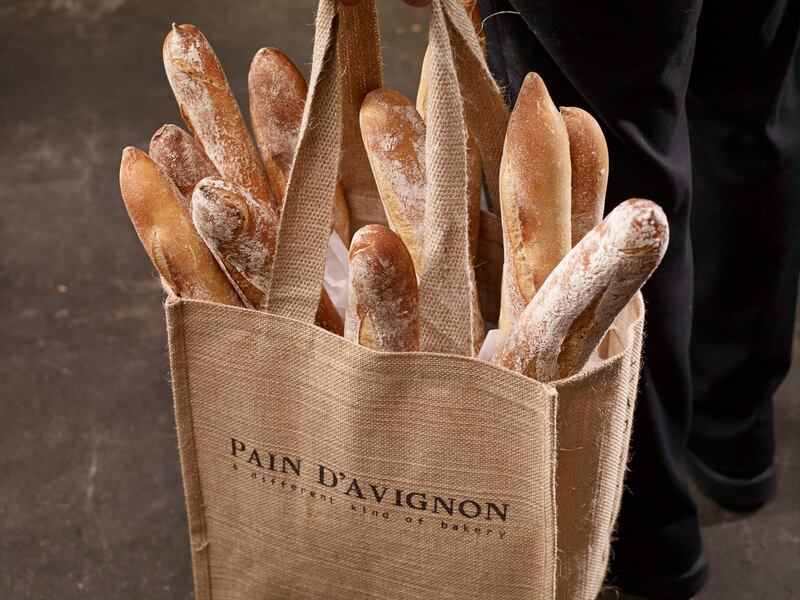 Pain d’Avignon was founded in 1992 on Cape Cod by a group of childhood friends. In the following years Pain d’Avignon became one of the leaders of artisan bread making on the East Coast. The concept expanded to New York City in 1999 and soon became one of the favorite purveyors for fine breads among the city’s top chefs. In 2012 they opened their first retail bakery in the Plaza Hotel Food Hall and Café d’Avignon was born. Their second location opened on June 2 at the Dekalb Market Hall in Brooklyn. The café’s menu is inspired by typical French bakeries where bread and pastries are made, baked and sold on the same day. Other offerings include breakfast and lunch sandwiches, quiches, scones and more. Café d’Avignon serves premium coffee roasted weekly for them by Stumptown Coffee Roasters in Brooklyn. “We’re very excited to begin franchising and are focusing on growing in the New York metropolitan area. Many of the high-end chefs we’ve been working with for years are bringing their creativity into fast casual restaurants. And it’s great, that the fast casual is entering this new cool phase, where the food is still of the highest quality, but is affordable and available to many, not just to few.” said Rosella Albanese, Café D’Avignon’s Director of Operations. Café D’Avignon is currently looking for experienced and enthusiastic multi-unit food service operators to develop franchises in the New York and New Jersey markets. Fransmart will serve as Café d’Avignon’s exclusive franchise development partner and is the franchise development company behind the explosive growth of brands like Five Guys Burgers and Fries and Freshii. Buffalo Wild Wings, Inc. will pilot two new small-format locations in the Minneapolis metro market this summer. 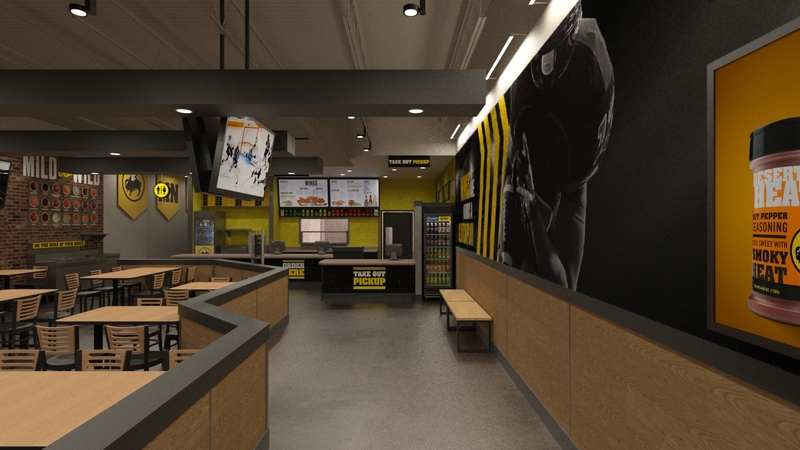 Inspired by consumers’ growing interest in takeout and at-home dining, B-Dubs Express will offer Buffalo Wild Wings’ famous wings and flavors in a streamlined, counter-service, and sports filled environment. In addition to wings – traditional and boneless – B-Dubs Express’ menu will feature chicken tenders, a chicken sandwich, burger, salad, buffalo mac and cheese along with select sharables and sides. A selection of adult beverages will be offered including draft and bottled beers, and wine. Delivery will also be available through a partnership with DoorDash. Each location will measure approximately 2,500 square feet with seating for about 35-50 Guests. The pilot, company-owned locations scheduled to open late summer 2017 will be located in Edina, Minnesota (7529 France Ave S.) and Hopkins, Minnesota (525 Blake Rd N.). Buffalo Wild Wings is currently looking for future sites for B-Dubs Express in multiple markets across the country. Chef Anthony Russo, who is behind Russo’s New York Pizzeria® and Russo’s Coal-Fired Kitchen®, and the Russo’s Franchise Team are targeting growth in new emerging countries. Headquartered in Houston, Russo’s is comprised of a mixture of 48 corporate and franchised locations including seven in the Middle East and 10 new locations planned in Riyadh, Saudi Arabia. The new fast-casual Italian features a chef-driven open kitchen and showcases the fresh-made pizza and pasta. It is available for both single and multi-units in 1,200 to 4,000 plus square feet. The newest store in Houston opened to standing-room only crowds, said Fernando Cordova, franchise owner. “Customers love the fast-casual concept where they can walk in and immediately order fresh, made-from-scratch Italian. We’re excited the restaurant has been so well received,” he said. Fernando looked at several brands to franchise before choosing Russo’s for its strong financial performance, unique store design and homemade pizza and pastas from the Russo family recipes. “I did the research and found Russo’s to be the best in the industry,” Cordova said. “I’m incredibly pleased with the opening results and expect to have a projected $700 a square foot in sales my first year,” he said. Cordova and his investment partners plan to open multiple locations in Houston in the coming year. Two additional new concept locations are set to open in Austin later this summer. Besides the open kitchen and counter service, the concept offers four revenue streams for franchisees – dine-in, takeout, delivery and catering, and the ability to customize the food selections to the unique neighborhood, Russo said. “Our brand promise is ‘If it isn’t fresh, don’t serve it.’ The culinary journey we create for the customer and proven business model offer great growth potential for our franchisees,” Russo said. Besides the New York-style pizza and classic homemade pastas, Russo’s offers giant party pizzas, gourmet sauces, unique pizza toppings and house-made mozzarella cheese. El Pollo Loco launched several new digital initiatives including an all-new loyalty program called Loco Rewards™, a completely redesigned mobile app and delivery service from select restaurant locations. The all-new Loco Rewards loyalty program, developed by Punchh, is available through El Pollo Loco’s mobile app. The program offers customers one point for every dollar spent at El Pollo Loco – with a $10 reward earned after collecting 100 points. In addition to a free entrée reward upon sign-up and a birthday reward, customers may also receive surprise offers tailored for them by participating in the program. Loco Rewards members will be able to earn points, redeem rewards and manage offers directly from the new app. El Pollo Loco’s new mobile app is completely redesigned and offers convenient features such as the ability to find product and restaurant information, place meal and catering orders, pay in advance, and allows for flexible pick up date and time selection options, as well as coupon and special offer code acceptance. The new app is one of several new digital initiatives. In addition to the Loco Rewards loyalty program, El Pollo Loco also worked in partnership with Olo to enhance their online ordering features, both in the app and on their website. The new changes were designed to address customer’s changing needs and offer increased access to the brand. Through Olo’s Dispatch Delivery service, El Pollo Loco is now offering delivery of the Company’s craveable hand-crafted, fire-grilled chicken and Mexican entrees directly to its customers. Where available, customers placing an online or mobile order will have the option to choose delivery to their desired destination. El Pollo Loco will continue expanding delivery service from additional restaurant locations. Überrito is ramping up its focus on franchising and is now offering franchise opportunities for the fast casual, build-your-own burrito concept nationwide. In its commitment to expansion to meet growing demand, the company recently brought on a new Chief Development Officer, Peter Ortiz, who is singularly focused on establishing Überrito as the premier franchise concept in the fast casual Mexican food segment. To meet its expansive growth targets, the company is seeking experienced, multi-unit operators and investors to help grow the brand nationally. Single and multi-unit area development opportunities, along with master franchise agreements, are available. The company currently operates five Houston-area locations and two Phoenix locations, which includes three new restaurants since 2016. 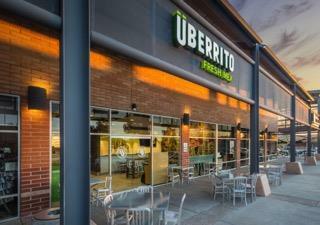 Überrito most recently opened its second Phoenix location in the Arcadia Gateway shopping center in late March, building on the momentum of successful expansion efforts in Arizona and Texas. “The food and the ambiance at Überrito are exceptional. Thanks to that, our locations have seen tremendous growth over the last few years,” said Peter Ortiz, Chief Development Officer for Überrito. “As a result, we’ve experience significant demand for the franchise and we are excited to now be able to bring Überrito to the broader market,” said Ortiz. 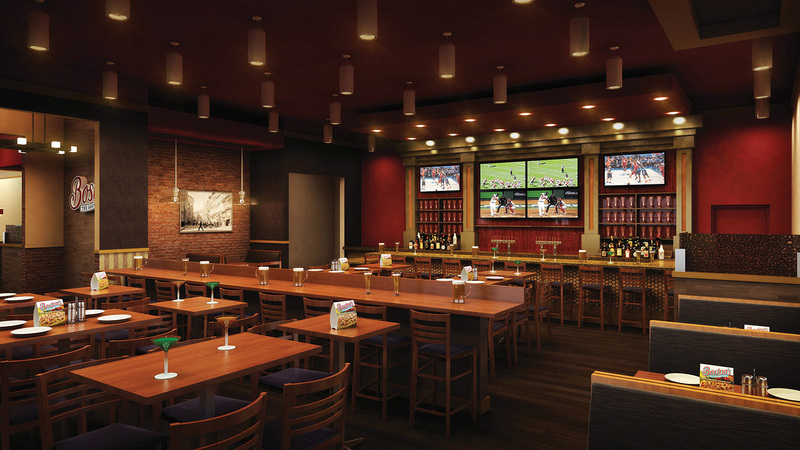 Boston’s Restaurant & Sports Bar inked a two-unit agreement that will be the company’s debut in Massachusetts. The first location is expected to open this year. The two locations will be owned and operated by Mineshkumar (Manny) Patel, who also co-owns a Boston’s restaurant in Casa Grande, AZ. Patel is a seasoned franchising veteran, owning and operating multiple brands including Auntie Anne’s Pretzels, Subway, Häagen Dazs Shoppes, in addition to Marriott and Holiday Inn hotels. The two locations, which will range between 5,000 and 6,000 square feet, will create approximately 60 new jobs for the area. Boston’s Restaurant & Sports Bar’s U.S. operations are based in Dallas, and currently has 27 locations operating in 15 states. The company’s sister brand, Boston Pizza, has more than 400 locations throughout Canada. Cicis has experienced consistent sales growth – including 16 consecutive quarters of same-store sales growth through Q1 of 2017 – as a result of the company’s revitalization strategy launched in 2013. When Cicis CEO Darin Harris joined the company in August 2013, he embarked on a listening tour, collaborating with franchise partners and guests, Cicis Support Center, and operations and marketing teams to identify opportunities for growth and to maximize guest satisfaction. The result was a comprehensive plan to refine brand positioning and improve food quality, menu variety and the guest experience. In fact, a recent Technomic survey showed a 37 percent increase in the number of guests who rated Cicis overall as “excellent” from Q1 2016 to Q1 2017. During that time, Cicis rolled out food quality improvements, new buffet offerings such as Stuffed Crust, Flatbread and Deep Dish pizza, and innovative limited-time items to add fun and flavor exploration. A new store design, launched in 2016, has also resonated. By the end of the year, the company is expected to have nearly 40 of its 430 restaurants reimaged with its updated, modern look and service model. To keep pace with the company’s growth, Cicis recently moved its Support Center to larger quarters in Irving, Texas. The company has signed multiple development agreements with franchise partners representing more than 70 restaurant commitments in 12 states, with 15 corporate and franchised restaurant openings planned for this year. 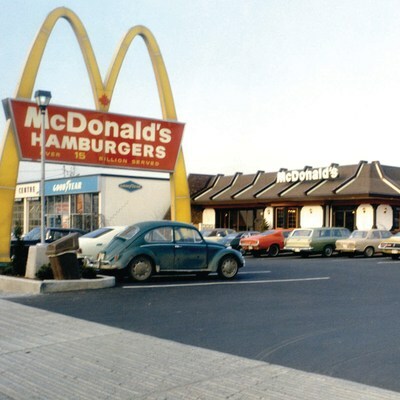 This year marks McDonald’s Canada’s 50th anniversary and to commemorate the milestone, the restaurant chain will be re-opening the doors to its first-ever Canadian location in Richmond, BC on Friday, June 23. For the opening weekend, the restaurant is celebrating loudly and proudly with some nostalgic elements, including original uniforms, a vintage car, classic images over the past 50 years and a throwback to 1967 with a special one-day $0.67 hamburger special. Of course, the celebration would not be complete without a special guest appearance by the chain’s very own Ronald McDonald®, who will be delighting guests on opening day. Throughout the festivities the restaurant will also be giving away a variety of prizes to restaurant and drive thru guests. Community members and guests are invited to join in the fun by visiting the newly renovated restaurant on No.3 road. It will feature innovative elements including self-order kiosks, McCafé® Bakery and a modern look and feel – with wood and stone finishes. In addition, guests will see the original Golden Arches back in their place, as well as a commemorative plaque and a piece of brick from the original building. Jamba, Inc. said current franchisee, SuSu Hospitality Group, LLC, has acquired 13 Company-owned stores and signed a 10-unit development agreement, to nearly double Jamba’s footprint in the Chicago market. SuSu Hospitality Group, LLC is an incubator, investor and operator of extraordinary food concepts. With the acquisition of 13 stores complete, SuSu Hospitality Group, LLC now franchises 15 Jamba Juice locations across Illinois and Ohio. “We are delighted to expand our market presence and strengthen our relationship with the Jamba brand,” said Sunil Bedi, Chief Executive Officer of SuSu Hospitality Group, LLC. “Jamba’s fresh, hand-crafted blends offer guests convenient, great tasting and nutritious options that complement the active lifestyle in Chicago. We look forward to the long-term growth of Jamba in this market,” added Suchita Bedi, President of SuSu Hospitality Group, LLC. Church’s Chicken® opened its newest restaurant in Toronto, Canada on June 19. The restaurant is the first in an eight-year deal that will eventually include 25 total restaurants in the Greater Toronto area under the same franchisee, Brothers Social Eatery, Inc. The first restaurant to open under the agreement is located at 3563 Lawrence Avenue East in Scarborough, Ontario, a suburb of Toronto. The restaurant will feature the company’s new STAR Initiative Design, which includes new interior seating options, new exterior design and color palettes, and contemporary lighting inside and out. Texas de Brazil Churrascaria continues expansion into new markets, opening its 53rd Brazilian-American steakhouse today at The Summit at Fritz Farm development in South Lexington. “We welcome the opportunity to introduce our churrasco to Lexington residents and visitors, and are proud to be one of the first restaurants to open in this exceptional new development,” says Salim Asrawi, Chief Operating Officer,Texas de Brazil. “We look forward to becoming a supportive and engaged member of this community and fashionable center,” he adds. The new 7500 square-foot restaurant accommodates over 200 guests and features a bright and energetic interior with an open-view grill, salad area, wine wall, intimate lounge and a private dining space for up to 26 guests. “We are thrilled that Texas de Brazil chose The Summit at Fritz Farm for its flagship Kentucky location and are excited for the Lexington community to explore their flavor-filled menu,” said Lindsay Bayer, creative director for Bayer Properties. “The concept will provide a unique experience for our guests who are eager to discover a Brazilian steakhouse,” says Bayer. It would be tough to find someone who hasn’t had his fingers in franchising more than Scott Stuck, president of Jon Smith Subs, a local (Palm Beach County) brand with nine open units, which was acquired by franchise industry giant United Franchise Group last year. United Franchise Group is known for its expertise in growing strong brands and ideas via franchising. After acquiring Jon Smith Subs, the search was on for the best brand president possible. Let’s say they hit a “bingo”. Scott Stuck, who also will be the brand’s first franchisee, opening his own store in Stuart Florida in August, has taken on the whole brand to grow. “We have the systems and people in place to provide site research and set up assistance, marketing and on-going support”, Struck continued. Bareburger is excited to announce today the grand opening of its newest location on East Main St. in Mt. Kisco, NY. It will fill the space previously occupied by Friendly’s, which closed in 2014. This is the sustainable food brand’s 13th New York location, fifth in the suburban Metro North region. “The Mount Kisco community is excited about its newest restaurant, Bareburger. Offering a unique menu in an upbeat and friendly environment, Bareburger is sure to please,” said Mayor J. Michael Cindrich of Mt. Kisco. The interior structures, furnishings, and finishes are made using local, reclaimed, salvaged, and recycled materials. The Mt. Kisco location also features airy outdoor seating to allow dine-in guests to enjoy the fresh air Westchester County has to offer. With an eye toward mindfulness of the environment, all paper products, plastic goods, and cleaning supplies are sustainable and biodegradable. Carrols Restaurant Group, Inc. completed the acquisition of Republic Foods, Inc. which operates 17 BURGER KING® restaurants in Maryland, specifically in the Baltimore and Washington markets. Carrols is the largest BURGER KING® franchisee in the United States with 804 restaurants as of June 12, 2017 and has operated BURGER KING® restaurants since 1976. FOCUS Brands, the franchisor of Auntie Anne’s®, Carvel®, Cinnabon®, McAlister’s Deli®, Moe’s Southwest Grill® and Schlotzsky’s®, named Kat Cole Chief Operating Officer and President, North America. In this new position, Cole will lead the company’s domestic franchise brands in addition to its licensing division. FOCUS has more than 5,000 locations globally and is experiencing growth that is being driven by its focus on consumers, technology, and multichannel development to grow existing markets and bring its concepts to new markets. Cole joined FOCUS Brands seven years ago as President of Cinnabon and for the past three years has served as President of FOCUS Brands Global Channels group. Cole has had a central role working in partnership with DeSutter to design and deploy the company’s multi-brand and multi-channel operating model designed to accelerate growth by leveraging the strength and collective power of the company’s multiple brands. Cole has a long leadership history within the industry, including on the Women’s Foodservice Forum (WFF) Board of Directors since 2009, Executive Committee from 2012 to 2015, and Chair of the Board in 2015 and 2016. She has a deep connection to purpose and global impact through humanitarian work globally, serves as a member of the United Nations Global Entrepreneur’s Council, and participates in organizations and initiatives in the U.S. and inAfrica to help individuals and villages elevate themselves out of poverty. Recognized for her ongoing impact, Cole was named one of FORTUNE Magazine’s “40 under 40”, named to CNBC’s top 25 Disruptors, Innovators and Leaders, and received the Distinguished Young Alumni award from Georgia State University J. Mack Robinson School of Business. She received her MBA from Georgia State University and honorary doctorate from Johnson and Wales University. Edible Arrangements® announced plans to aggressively expand its international presence. Edible Arrangements® expects to open more than 100 locations internationally over the next three years. The growth will be accomplished primarily through a mix of territory and master development agreements. As part of the initiative, Edible Arrangements® has selected World Franchise Associates to help identify prospective development partners specifically in the GCC (Gulf Cooperative Council), MENA (Middle East and North Africa) and Southeast Asia markets. Edible Arrangements® offers a lower upfront store investment cost, adaptable menu and venue designs, multiple revenue streams, and proprietary supply chain and technology platforms. This allows Edible Arrangements® the flexibility to seamlessly move into new international markets while remaining true to the brand’s identity and values. 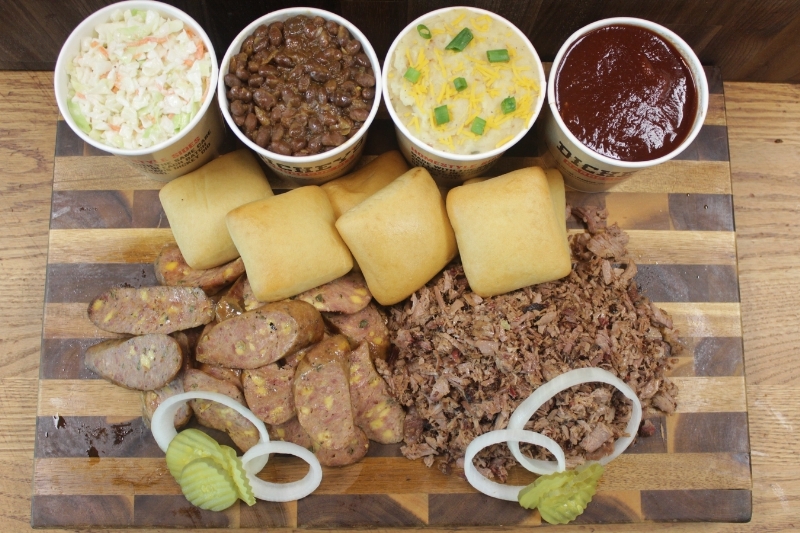 Husband and wife entrepreneurial duo Jonathan and Grace Darko recently inked a development agreement with Dickey’s Barbecue Pit for two new locations in the fast casual chain’s hometown area, Dallas. Their first location is scheduled to open in Grapevine, Texas in January, 2018, with another location in Frisco to follow. Jonathan and Grace are established in the accounting and healthcare industries, respectively, and are both seasoned entrepreneurs. They are confident their years of diversified work experience have prepared them to succeed in the fast casual industry and are each going back to their roots in their own way with this new venture. Jonathan, originally from Ghana, is the son of the “Poultry King” of his region and spent years in the family chicken business, while Grace has extensive business ownership experience and an MBA. The couple looks forward to the openings of their Texas locations. Their dream is to one day be the first Owner/Operators to expand the brand internationally in Africa and introduce their home country of Ghana to authentic, Texas-style barbecue. Buffalo Wild Wings has donated over $760,000to their local Boys & Girls Clubs following the 2017 Community Day fundraiser. On April 19, more than 950 restaurants participated by collecting Guest donations and contributing at least 10 percent of restaurant sales to support youth sports opportunities at Boys & Girls Clubs. The 2017 Community Day donation is the largest to-date since the annual fundraiser began in 2014. As part of the Team Up for Kids™ mission, Buffalo Wild Wings has partnered with Boys & Girls Clubs of America (BGCA) to help thousands of kids play team sports each year. The Community Day donations will help Clubs provide uniforms and equipment to young athletes and give them the opportunity to play team sports and learn skills that will help them grow into productive, caring and responsible citizens. In 2016, Buffalo Wild Wings and their Guests raised and donated over $4.1 million to support Boys & Girls Clubs of America. BGCA was able to fund 325 ALL STARS sports grants to local Clubs, and provided training and resources for Clubs to offer more than 88,000 youth and teens the opportunity to participate on high-quality ALL STARS football, basketball, cheerleading, dance, step and soccer teams. Buffalo Wild Wings will donate at least $2 million to Boys & Girls Clubs of America each year, and is committed to raising and donating $18 million by 2020. Since the partnership began in 2013, Buffalo Wild Wings has donated over $10 million to support sports programs at local Clubs. More than 1,000 couples who have made the Bold Move™ to enter White Castle’s national Royal Wedding contest. Engaged couples can submit their entries until July 31 for an opportunity to win a complete wedding in Las Vegas and honeymoon in Belgium. Earlier this month White Castle announced its first national wedding contest to give one lucky couple the ultimate Royal Wedding in Las Vegas and a luxurious five-night honeymoon in Belgium, the home of White Castle’s deliciously-crafted waffles. More than 75 couples have been married at White Castle restaurants across the nation over the past 10 years, however the contest’s winning couple will be the first to tie the knot at the famous White Castle in Las Vegas. The Royal Wedding Contest runs until July 31 at 11:59pm ET, with all entries made online at www.whitecastlewedding.com. Submissions must be shared on social media using the hashtag #WhiteCastleWeddingContest to be eligible. A panel of qualified judges at White Castle will select the Grand Prize and First Prize winning couples. Winners will receive an email on or around September 15. The winning couple and six guests will enjoy roundtrip airfare, ground transportation, three nights’ hotel accommodation, White Castle gift cards and more. The wedding experience will include a rehearsal dinner, wedding ceremony and reception, cake, flowers, décor, music, and a professional photographer on hand to capture every memorable moment throughout the evening. The honeymoon includes roundtrip airfare to Brussels, Belgium, plus hotel accommodations for five nights, ground transportation, and a food and travel allowance. Two more winning couples will receive the First Prize package of having their wedding reception catered by White Castle for them and 200 friends. 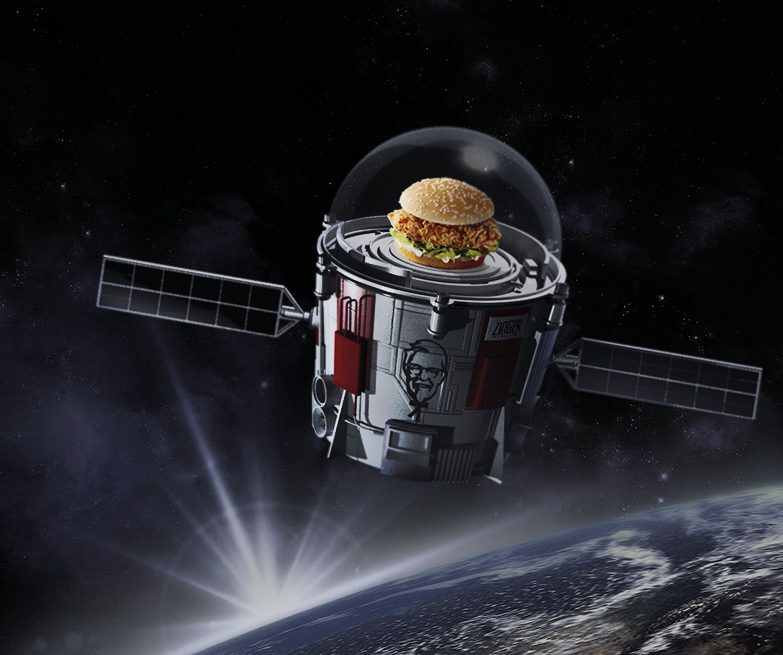 KFC and World View partnered to launch the Zinger chicken sandwich to the edge of space and then bring it back, along with telemetry data. 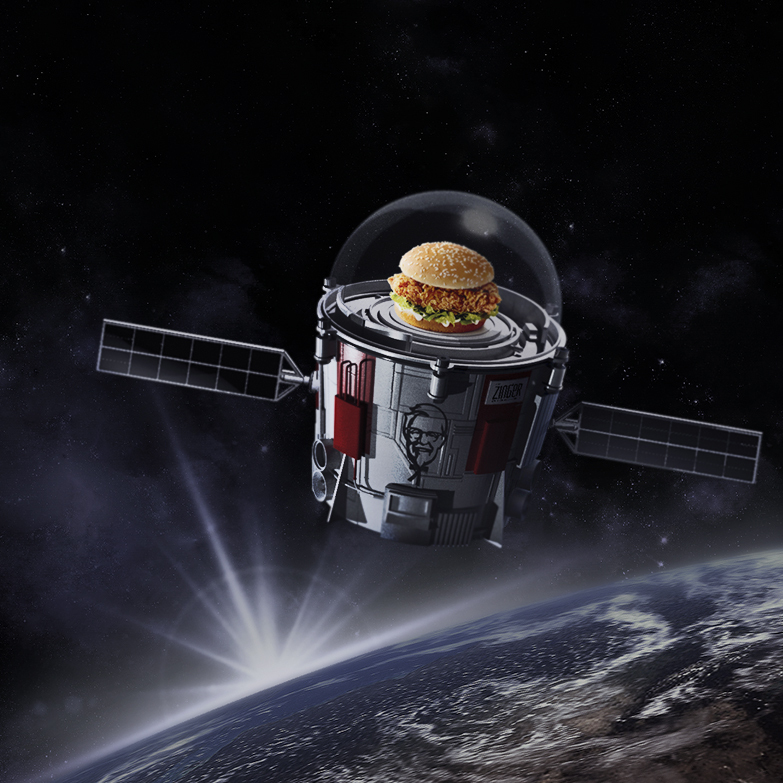 Pushing the boundaries of space exploration and fried chicken technology, the mission will be the longest controlled stratospheric balloon flight with a commercial payload in history and the first-ever multi-day mission of the World View Stratollite™ flight system. To watch live and for real-time updates on launch/livestream timing, visit kfcin.space or follow on Facebook and Twitter. From its founding in 1930 by Colonel Harland Sanders, KFC has approached its business with an entrepreneurial and innovative spirit, which lives through partnerships with breaking edge companies like World View. With this application of the Stratollite, together the two brands are showing that rockets are no longer the only way to get payloads to and from space. Representing enormous untapped potential, Stratollites could serve as stationary Wi-Fi hubs in remote or undeveloped areas that may not have existing internet access, or monitor ongoing crisis situations from a previously inaccessible vantage point. Future flights could be used for disaster preparedness and response – from predicting weather events days in advance, to monitoring ongoing or quickly arising weather and disaster events (for example, forest fire detection) – ultimately assisting first responders with rapid communications and surveying capabilities.